Wonton-skin wrapped crabmeat, celery and cream cheese with sweet chili sauce. Marinated chicken on skewers, served with peanut sauce and cucumber vinaigrette. Vermicelli noodle, celery, carrot and bean sprout with plum chutney dip. Steamed or fried, served with sweet soy vinaigrette. As always, I am constantly putting up reviews for this Gem of a Thai place! One can never think that a restaurant can constantly produce the same high quality, high flavor and highly authentic cuisine with no snags! This place is just awesome. The food is authentic Thai! ( not a Chinese restaurant claiming to offer Thai) ugh! Those of you who have never ordered from here, your missing out. The food and delivery service is spot on. Each and every time. You may have tried all the other so called Thai placed, come try the very best on Long Island. I cannot get enough of their Masaman Curry. Thats my go to entree however I have tried almost every item and everything come delivered piping hot with many layers of flavor. This is it peeps! . I recently moved to the area and was craving Thai food. I am SO HAPPY that I came across Sawadee while researching restaurants. Their Yellow Curry and Massaman Curry dishes are delicious. Their Thai iced tea is nice and refreshing. The delivery service is quick too! This will absolutely be my go-to Thai place from now on. Love them! Excellent experience. Food was fresh and delicious. Ordered 2 spicy entries and both had just the right amount of heat. On both entrees the Thai Basil was used perfectly. The Spring Roll appetizer was great. The chicken and shrimp dumpling dumplings were even better. Delivery came quickly and the prices very fair. I can't get enough of this place. Everything I've had has been great, but the basil fried rice with tofu continues to be my go to. The prices are unbeatable (9 dollars for a solid two meals worth of food), and whether I've had delivery or done pick up, everyone has been super pleasant. The food is excellent.The customer service was great.And the delivery guy was very friendly.My family loves to order from Sawsdee especially my teen daughter uaing my grub hub account with my credit card already paying for it! Great service! Yum excellent food. Big fan of the crab rangoon and Pad Thai, husband loves the spicy curries and the fried rice is very kid friendly. We love the food! We werent worried about the lateness because of extremely cold weather and bad driving conditions. 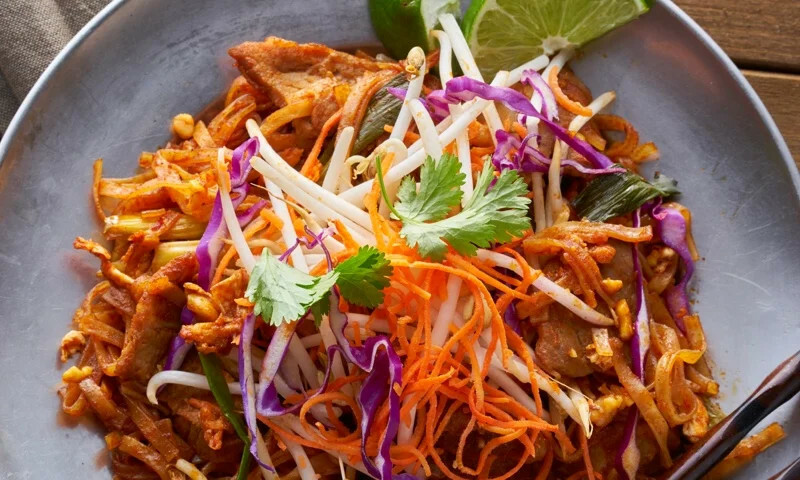 Whether you're craving a quick bite or looking to treat yourself to a delicious meal, you can now order your Sawadee Thai Fusion Restaurant favorites for takeout or delivery.